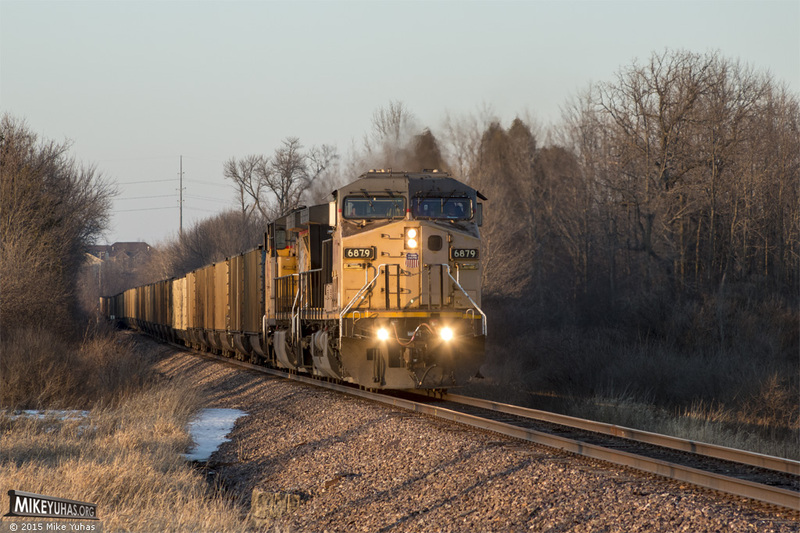 One of the two or three empty coal trains per week on Union Pacific's Shoreline Subdivision heads south on an unseasonably warm late winter afternoon. Train originated at the Edgewater Generating Station in Sheboygan; in a couple days it will arrive at a Wyoming mine for another load of sub-bituminous. Fresh welded rail was installed in summer 2014.